Green Development LLC, has installed a seven-turbine, 21-megawatt onshore wind farm in Johnston, RI. The $100-million wind farm is located near Johnston’s Central Landfill along Plainfield Pike and Shun Pike. 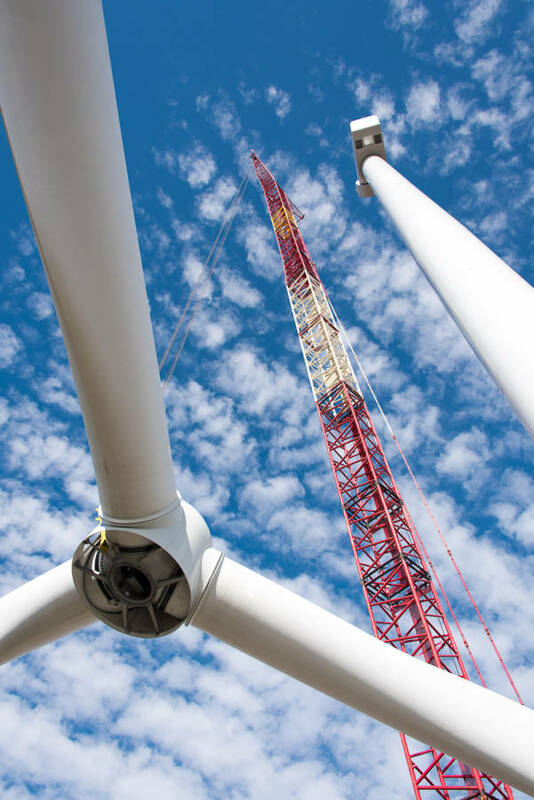 The new 3-megawatt VENSYS direct-drive turbines each stand 519 feet tall. Green Development will operate the turbines following construction. Green Development teamed up with HB Welding Inc., Bay Crane Northeast, Consolidated Concrete Corp., Mass Electric Construction Co., Waterson Terminal Services LLC, DiPrete Engineering and Vensys Energy Inc., to design and construct the site. DiPrete Engineering handled the civil site design and local permitting, site boundary surveys, and title review work.